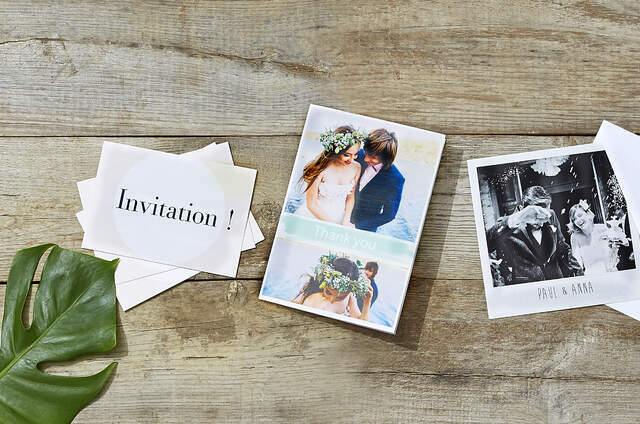 The Foil Invite Company are known for delivering premium quality foil-pressed paper goods. Founded in 2012 by graphic designers Wendy and Matt who got married this summer. 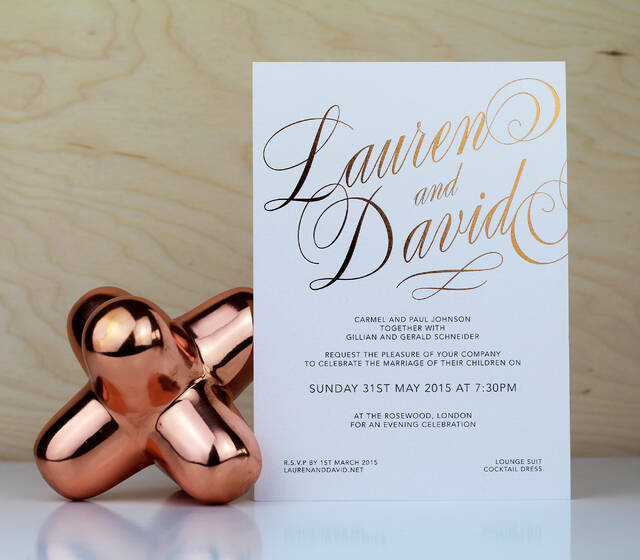 We craft beautiful foil wedding stationery and really take pride in what we do. 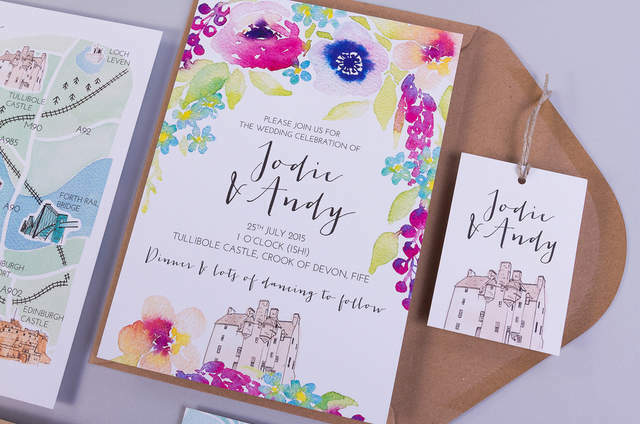 We believe we are the only wedding stationer in England specialising in foil print – a finish that is perfect for wedding stationery. The beautiful metallic shine makes our products feel luxurious and extra special whilst still being personal and handmade. Our products are hand foil printed and packed by us in our studio in Chester, Cheshire to ensure every order is perfect. 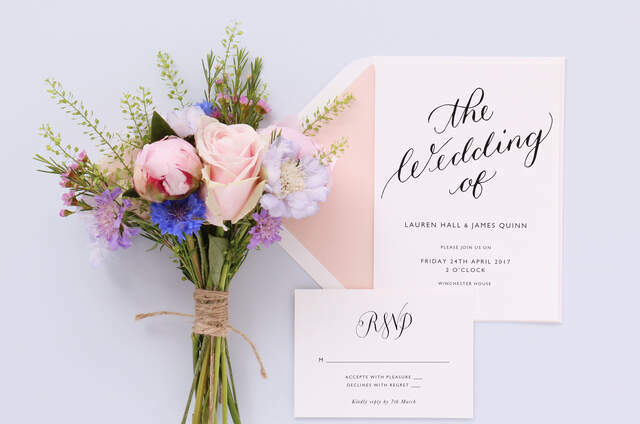 Why choose the Foil Invite Company? Because our designs are both current and fresh, yet timeless. Because we strike the perfect balance of luxury and simplicity and because our customer service is as good as our products.